WORCESTER, Mass. /Massachusetts Newswire/ — Kick off those snow boots, slip into your dancing shoes and join us for a spectacular evening in the company of fellow local animal lovers to raise funds for the non-profit Worcester Animal Rescue League (WARL). On Friday, March 20, 2015, from 7 to 10 p.m., the Worcester Animal Rescue League is proudly hosting their third annual Wagtime Gala Fundraiser, sponsored in part by Fletcher Tilton, PC & Wagner Motors. Wagtime is the largest of WARL’s fundraising events and funds raised go directly to supporting WARL’s mission of helping homeless and in-need animals. Held at the prestigious Tatnuck Country Club on 1222 Pleasant Street in Worcester, Wagtime puts the “fun” back in “fundraiser.” Tickets may be purchased online or at the shelter through March 15th. Tickets are $65 each, or 2 for $120 and include a buffet dinner and one drink ticket. Back by popular demand, local 1950’s swing/rockabilly trio Andy Cummings and Swingabilly Lounge will be providing the beats you can wag your tail to for the second year in a row! Amazing live and silent auction items will be up for grabs, including a week-long Sugarbush vacation (donated by Wagner Motors), Disney World Park Hopper Passes, a personal tour of the U.S. Capitol with Congressman Jim McGovern, authentic, autographed memorabilia from the Super Bowl Champion New England Patriots, Southwest Airlines airfare, getaways, concert tickets, jewelry, artwork and much more! The mission of the Worcester Animal Rescue League is to provide compassion to every being that turns to us for help; providing shelter and care for animals, as well as resources for the people who love them. “The costs of caring for our animals, including medical, shelter, and food expenses, grow every day. Wagtime helps us to bring people together to celebrate our past successes and raise the funds necessary to continue improving the lives of our animals into the future,” explains Allie Tellier, Executive Director. 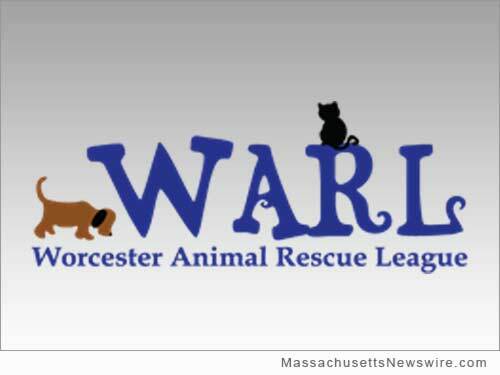 For more information on Wagtime, please visit the Wagtime page on the WARL website, www.worcesterarl.org/wagtime or on Facebook at www.facebook.com/WorcesterAnimalRescueLeague. We hope you will join WARL to dance ’til the pets get homes at #Wagtime2015!